Fathomers is a creative research institute dedicated to producing sites and encounters that challenge us to live and act differently in the world. We cultivate the ideas of diehard dreamers, commission projects that seem far-fetched, and enlist expansive thinkers across disciplines to redefine the limits of scale, scope and support for artist-led projects. As colleagues at Grand Arts, the influential and storied project space in Kansas City, Mo., that operated from 1995 to 2015, Fathomers’ principals partnered with scientists, engineers, designers, educators, activists and legal experts to produce some of the most provocative and far-reaching projects of the 21st century — amid ocean depths, at galaxy edges, in between and beyond — by artists including Tavares Strachan, William Pope.L, Sissel Tolaas and the Propeller Group. Led by curator and executive director Stacy Switzer, Fathomers now sets the stage for groundbreaking collaborations from Los Angeles — cultural nexus of science, technology and contemporary art. We devote ourselves to forging the best possible conditions for our partners in which to explore. That means making long-term commitments while ideas are in formation, responding fluidly as plans shift and take shape, and brokering generative engagements with experts, audiences and institutions along the way. We do this because we value discoveries made absent predetermined outcomes, and we believe in the power of the realized dream as a test site and model for visionary change. Fathomers is keenly interested in long-­term thinking — and what this might mean when applied to creative projects that unfold over not just years but decades, lifetimes or longer. Our project trajectories may resemble waves more than diagonals, escalating not toward a single exhibition moment but taking shape as a series of possibly infinite dynamic gestures instead. Fathomers was born from Grand Arts, a project space in Kansas City, Mo., that quietly but radically tested the limits of institutional and artistic support for two decades. In helping more than 120 national and international artists realize projects considered too difficult, provocative or complex to attract funding and support otherwise, the gallery achieved insider fame and deep-seated respect as a bastion of generosity and risk. 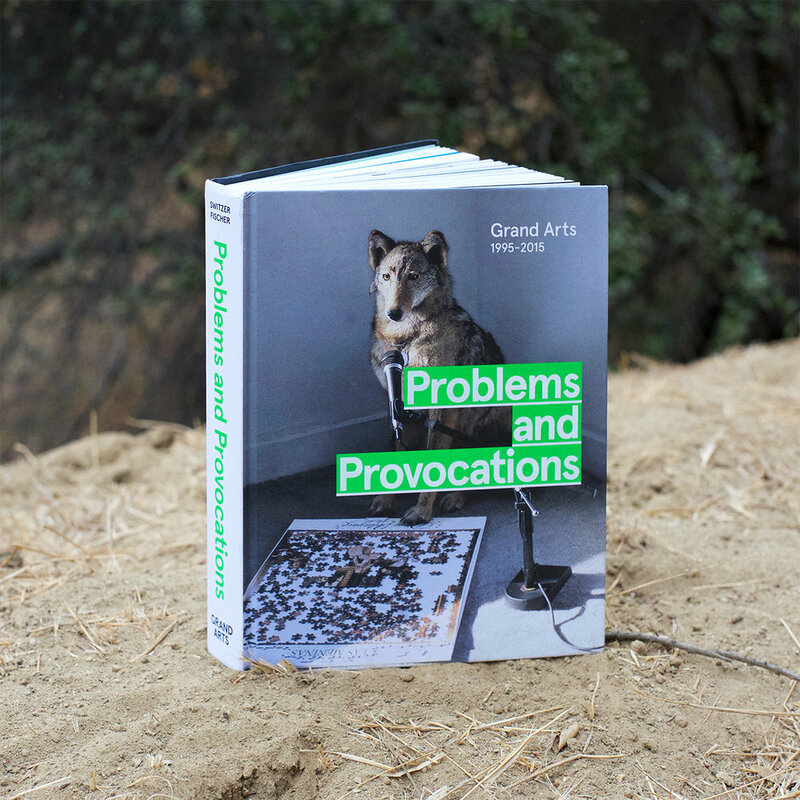 In 2015, Grand Arts closed its doors for good, but not before convening fifty artists, writers and scholars for a weekend of conversations that critically and casually explored practice, support and terms of engagement — discussions based in part on the essays commissioned for Problems and Provocations: Grand Arts 1995-2015. Intrigued by the possibilities of these texts and the debates they inspired, a handful of associates finally began considering GA 2.0. That transition, that chance to be moved, ultimately took shape as Fathomers: the learning institution repurposed as a think tank, committed to co-conspiring in unscripted, unexpected, and slightly uncomfortable ways — and wholly motivated by the creative will to embrace adventure, nurture attachments and move on. We were moved, and we moved on. Then we moved to California. We brought with us the spirit and legacy of Grand Arts.